DD coils have been dominating the metal detector market for almost a decade, and it would seem that you can put an end to concentric or mono coils, but this is not the truth! Have you ever dug with a mono-coil? 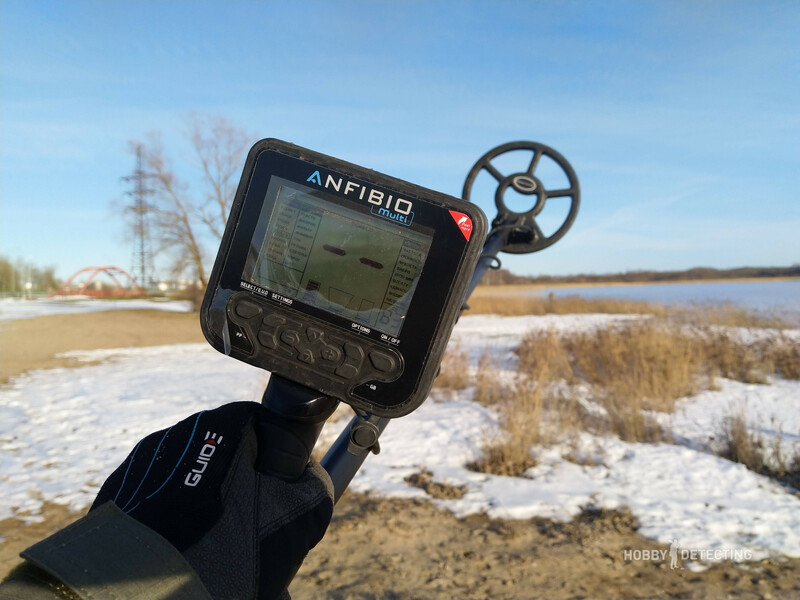 I remembered those glorious times when mono-coils were popular and no one wanted to think about anything else … But this story is not about that, but about how I bought a 9 ″ mono coil for my Nokta Makro Anfibio Multi metal detector. It was a moral choice – to take a bigger or smaller mono coil in terms of size? 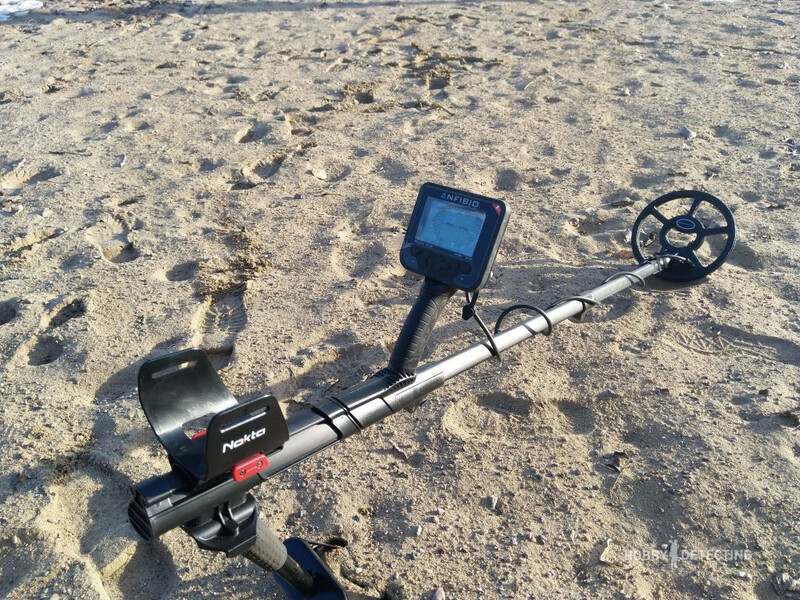 The idea was such that in some places, where the ground is more “difficult”, and even for detecting on a beach when the DD coils are already fed up or have problems with adjusting the soil balance, it was necessary to test the idea of a mono coil. I stopped at 9″ (there is a 7″ mono coil) so that the area of detection was a little bigger. 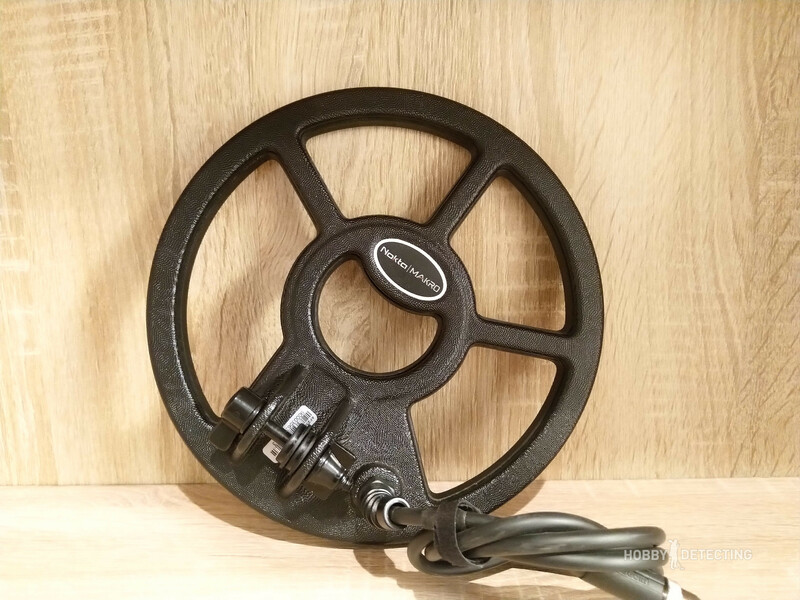 The coil is light, it has good weight balance and fastening, the wire sticks out from where it is necessary and does not interfere with the bending of the rod. 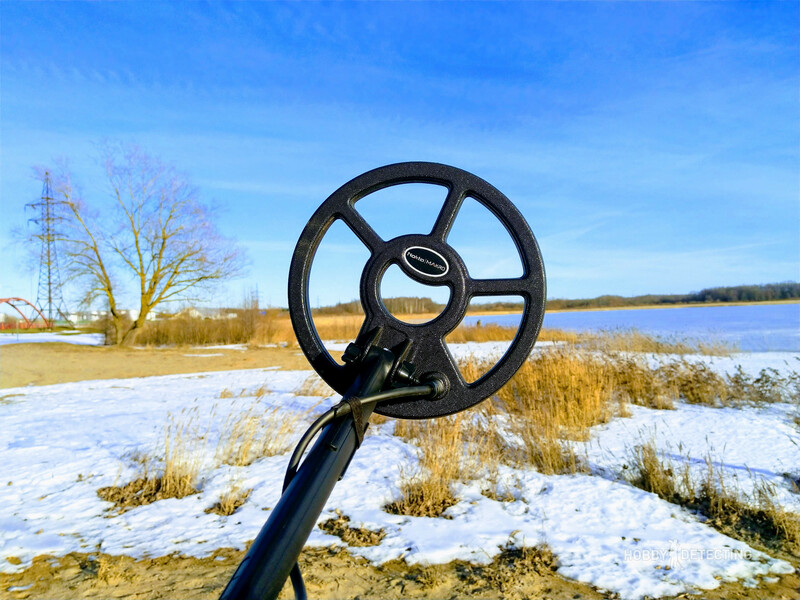 I decided to check the coil on the nearest lake beach, where I went as soon as the snow melted. The place was littered, but the coins were steadily appearing one by one. Why not a sea beach? 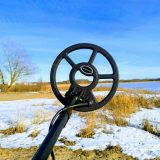 Everything is simple – on the sea beach there is a pile of ice a meter or more in height, such ones will not melt soon, but the beach on the lake thawed out quickly, the sand was soft and it was easy to dig. The big minus of the beach was the ground. The ground was sand bulk, brought here in Soviet times. It was just poured over ordinary land and the detector can only ground balance on one of the soils. I have not yet found a coin deeper than the layer of sand, although there have to be some very deep ones! As you can see, some places are still piled with snow, and there is no possibility of digging there, the earth is covered with snow. 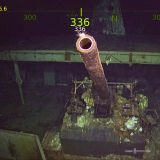 What is interesting is that the coil is light and the detector in your hands does not feel heavy at all. Swinging it back and forth is easy and convenient, and the coil itself perfectly distinguishes between pull-tabs and coins. 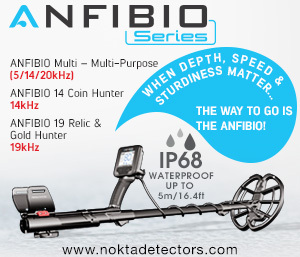 There is a rather simple way to distinguish a pull-tab from a coin on a Nokta Makro Anfibio – when the coil is quickly swung over the target, the pull-tab will start to give a grunting sound on the detector, even if it is made entirely of non-ferrous metal. But the coin, on the contrary, will only give a good sound, so you will not be mistaken! 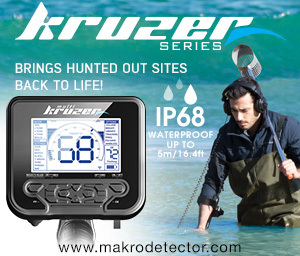 Use it – this method works fine on all Nokta-Makro devices. What can be a good find on an ordinary European beach? European coins, naturally! It is possible to find enough Euro coins for a little snack in an hour, or even less, depending on your detecting skills. But if there are no objects in the ground, then there will be nothing to dig. I noticed that on the beach, most of the coins are located in the places where dress boxes and benches used to stand. It is not surprising – such places are not detected in the summer, that’s why there are more finds there after the season, so hunt for places where booths and benches were as soon as they are taken away – do not waste your time, immediately run to the beach at full speed! 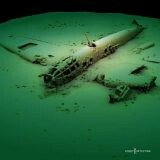 The Nokta Makro Anfibio Multi on different search programs gives different results. The program of three tones is not very suitable for the beach, but the two tones were quite appropriate. With such a coil, there was no problem to perform a ground balance, and I did not use the pinpoint function, here they are the advantages of a mono-coil. Use it! 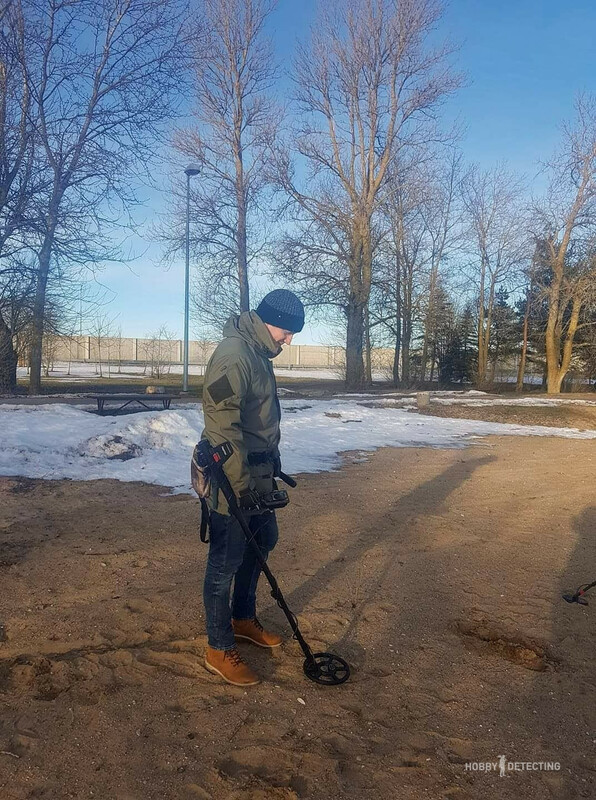 🙂 A mono-coil is a good addition to your metal detector. 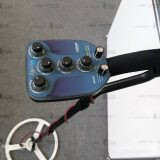 I would say that now, when everyone is digging with DD coils, digging with a mono coil is an opportunity to have a slight advantage, for example, in the right ground balance and speed of determining the location of the target. 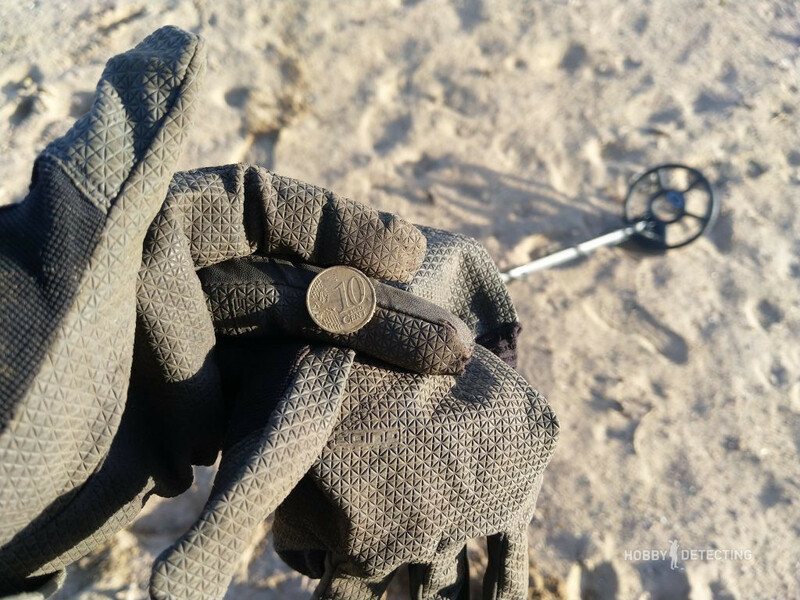 And the coil did not disappoint in depth either, small euro coins (2, 5, 10 cents) were found at quite a good depth (from 5 to 15 cm), which is a good result for the beach! Do you use mono coils? 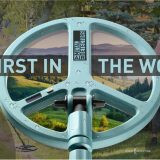 Metal detecting equipment – short introduction what to take with.